You can expect all types of bagels ranging from a traditional Everything Bagel, Sesame or Poppy, to Flamin' Hot Cheetos, Turmeric and Gluten Free varieties with a wide variety of cream cheeses. The shop boasts a welcoming, fun vibe with a nod to vintage design. Stop in to see their full menu, including all special bagel sandwiches and many other options! They are open from 6am-3pm Tuesday-Saturday and from 8am-3pm on Sunday. 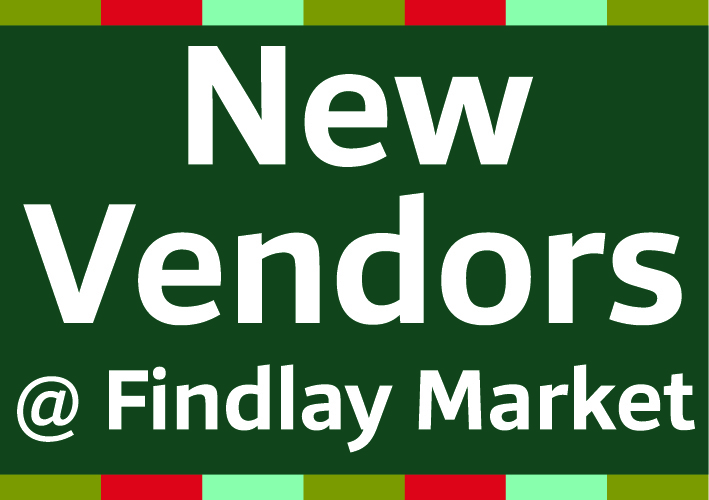 Findlay Market had several new vendors join the Findlay family in 2018. The hardworking family that runs the Arepa Place have been members of the Findlay Family for two years now as Findlay Kitchen members. In September, they opened their storefront at 131 W. Elder Street. They have an immense passion for the cuisine that they create and the experiences that are shared over food. Stop in for an arepa or empanada today! The Country Meat Co. sells Amish turkey, chicken and beef as well as smoked meats and ready-to-cook seasoned meats, all with a smile and the answers to any meat-related question you can think of. Cherbourg Cyprus brings a unique twist to their baking by using no gluten, nuts or dyes. You will fall in love with their signature lemon bars, as well as literally everything else in their store. Deeper Roots Coffee believes in ethically sourcing and crafting their specialty coffees. Grab a cup to go, or sit with your java and enjoy the beautiful ambiance they have created over at 1814 Race Street. Mainwood Pastry has everything you need to satisfy a sweet tooth: scones, croissants and more! Stop by and catch a whiff sometime soon. NOLI Italian Cabinets does more than just design a kitchen for you. They design your kitchen around you, for how you cook, live and entertain. Drop in and say buongiorno to Agostino and admire the beautifully crafted cabinets on display. What are you waiting for?! Get thee to the Market to say hello to our newest Findlay family members (and pick up something for dinner while you're here).